DVDFab Mac Blu-ray Player, also known as DVDFab Media Player for Mac, is the best Blu-ray player for Mac so far which can play BDs on your Mac, with easy operation, fantastic audiovisual effect, smooth playback, full Blu-ray navigation experience, and without any barrio from protections or region codes. So if you’ve got some old or newly released BDs, just prepare an external Blu-ray drive, then follow me to have a look at how to play BD on your Mac with the help of DVDFab Mac Blu-ray Player. 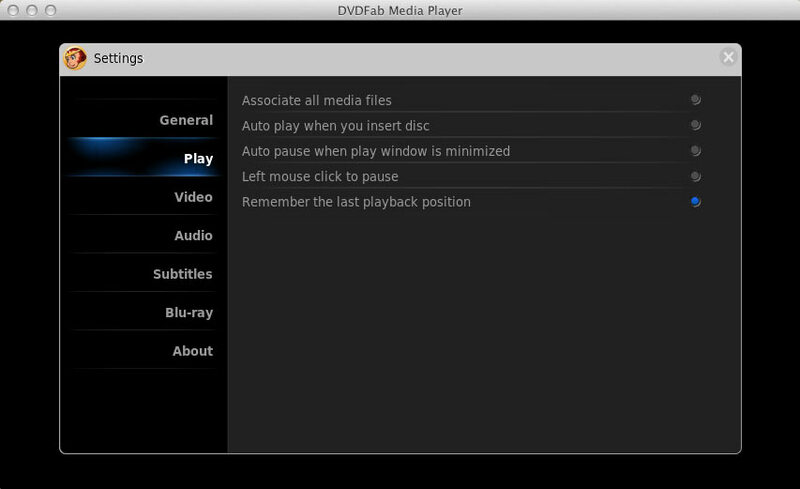 It’s easy and quick to download DVDFab Mac Blu-ray Player, please go to its official webpage https://www.dvdfab.cn/mac-blu-ray-player.htm for download. Then install it intuitively on your Mac. After the installation finished, you can see its desktop shortcut. Just double click on the shortcut to start it up. And you can see on its main user interface that there’re 2 options available: “Open File” and “Settings”. 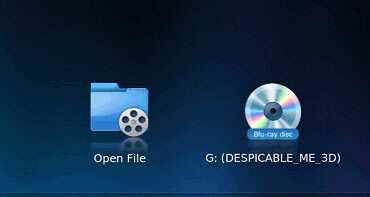 We’re not using “Open File” in this case since it’s for loading ISO files, movie folders, or other video files. And the “Settings” option is the one on the top right corner with the icon seems like a gear, and it’s somewhat worth of your attention here if you want to pre-set something about: General, Play, Video, Audio, Subtitles, Blu-ray, etc. In order to let this Mac Blu-ray player access you BD, just simply insert the BD into the external Blu-ray drive that you’ve connected to your Mac. Seconds later, after loading process finished, you can see the BD icon on the main interface. Click the BD icon, then you’ll be asked to choose one play mode from “Quick & Simple Mode” and “Full Navigation Mode”. The former one is for quickly play main movie title, or any other movie titles. And you can see the basic info of the movie in this mode, such as Director, Genres, Year, Actors, Plot, and so on. While the “Full Navigation Mode” allows you to get a full Blu-ray control experience. 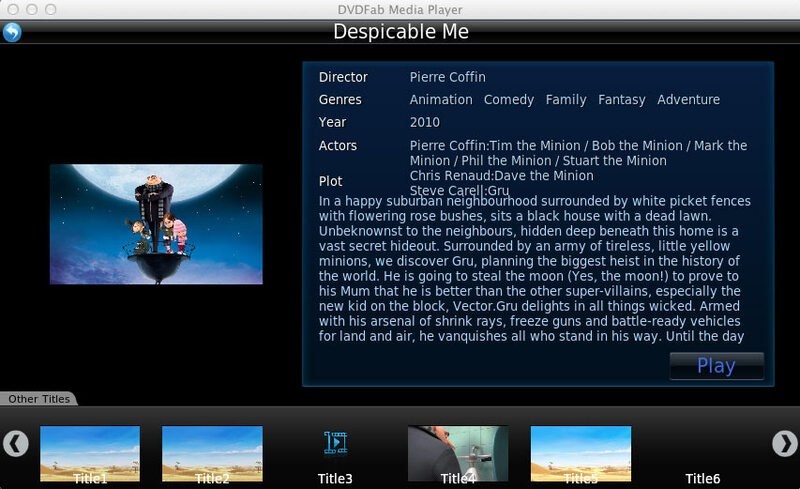 And DVDFab Mac Blu-ray Player is the first in the word to do this among all existing media players. While the BD is being played, you can simply control the play by hovering mouse on bottom or on top of the screen. Hovering on the bottom will bring about a control bar for pause, play, stop, fast backward, fast forward, volume up, volume down. Hovering on the top will bring about another bar for you to set to full screen, half screen, and to set audio, subtitles, and so on. And you can right click on the screen to make a control panel to pop up, where you can control the play, open another disc, set audio and subtitles, and much more.